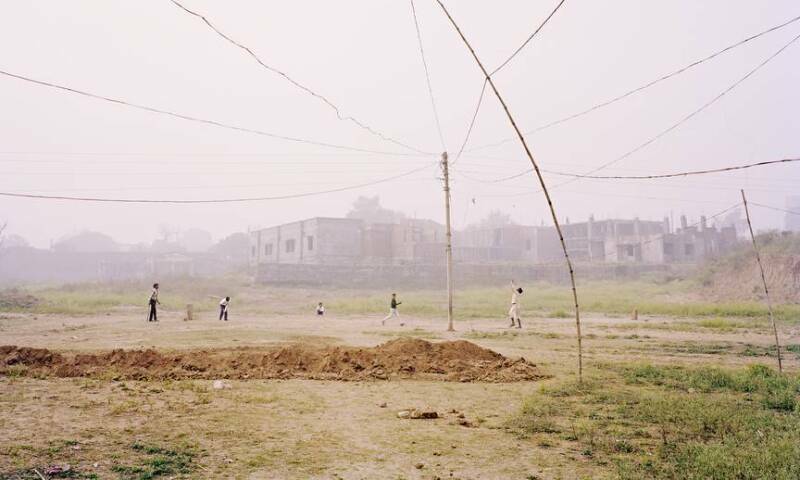 Vasantha Yogananthan, Cricket Match, Chitrakoot, Madhya Pradesh, India, 2013. With the aim of supporting and promoting contemporary institutional creation, the Musée de l’Elysée is presenting the first personal exhibition in a museum institution of Vasantha Yogananthan’s project A Myth of Two Souls. Born in 1985, the self-taught French photographer belongs to a generation that likes to blur the lines between fiction and reality. This series was inspired by the Ramayana, a fundamental epic poem from Hindu mythology written in Sanskrit somewhere between the 3rd century BCE and the 3rd century CE. For six years, Vasantha Yogananthan made regular trips to India and Sri Lanka to complete his project, of which the greater part of the seven chapters are exhibited together for the first time. A specific area for each chapter is set up on the lower level of the Musée de l’Elysée, creating a particular atmosphere specific to each of the stylistics called upon by the artist to develop his story. While the first few rooms –and indeed, chapters–are relatively traditionally laid out, exhibiting framed prints on the wall, the following rooms make it possible to showcase alternative systems of exhibiting, such as screening, paperhanging and installation. The seven chapters exhibited – Early Times, The Promise, Exile, Dandaka, The Quest, Afterlife, The Epilogue – offer visitors the chance to wander through both time and geography whilst introducing them to rarely used photographic techniques and an original scenography. The exhibition includes photographic works, repainted prints and a multi-channel video installation.